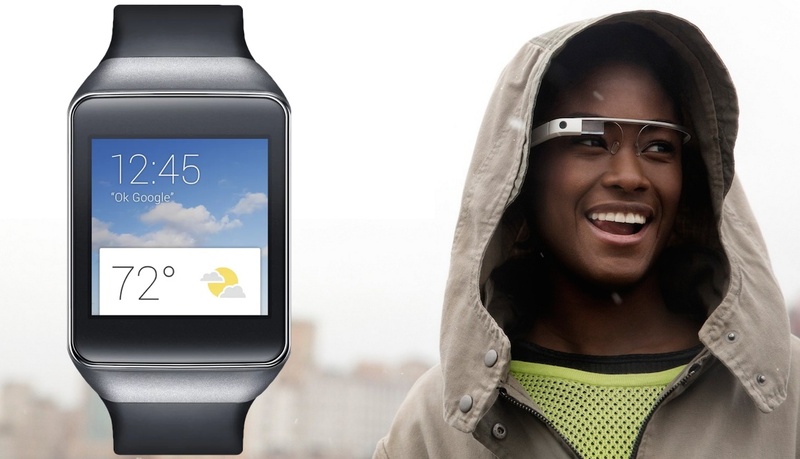 Android Wear is amongst us. And while the first wave of reviews have been lacklustre, we have to remember that the platform is much more than a humble OS for smartwatches. It is, in fact, another step in the Big G's masterplan of an autonomous Huxleyan public whose thought processes are as algorithmically predictable as their web searches – and also just as profitable. Sound scary? It shouldn't – we'll all be as happy as Larry (and Sergey too, of course) in Google's brave new world…. Wearable tech is the cornerstone of a technological revolution that’s about to explode: a device and ecosystem driven movement that will change the way people live their lives; a genuine paradigm shift in human behaviour. Google already knows all about your outside life. It knows your likes, your dislikes, the people you interact with, the places you go and the times you go to them. By using voice and visual recognition tech in watches and glasses, it will have a new set of sensors, able to capture and quantify the real world. Everything you say, see, hear, taste or touch could potentially be available to Google. It also wants to know you inside out – quite literally. By tapping into the rich stream of data from inside our bodies, using wearable tech and the ever expanding range of medical sensors, Google will have a whole new database to index. It’s not hard to imagine the ultimate Google driven autonomous lifestyle. You’re woken up at the perfect time based on an algorithm combining a humongous array of factors ranging from the weather outside to your hormone levels, and you step into a shower, already flowing with water set at the optimum temperature. You go downstairs where your breakfast has been pre-prepared by your live-in Android-droid – don’t forget Google acquired eight robot specialist companies in December 2013, as well as spending around $500 million for British artificial intelligence company DeepMind. There’s no Coco Pops today though, sadly: your biometric data suggests you’re low on fibre so it’s All Bran all the way. You’re taken to work in a self-driving car while you catch up on the news (and, crucially, the adverts) of your favourite websites on your HUD. There are no traffic jams as Google’s eyes in the sky (it bought high-resolution satellite imagery company Skybox for $500 million earlier this year) have plotted a clear route to the office. After the morning meeting your Chrome PC already has the appropriate programs ready to go for you as your smartglasses heard and saw everything that went on inside the conference room. In fact, you barely have to do any work – your work-buddy droid will do the bulk for you based, of course, on the way you would have done it. Plenty of time to prep for your big date later instead – although dating is a piece of cake nowadays as your in-ear voice assistant will be able to tell you all the right things to say to the lucky lady based, of course, on the algorithm of everything. When you get home you’ll be greeted with the perfect drink and/or snack and the TV will be ready to go with the show that perfectly suits your mood. There’s no need to seek alternatives – based on the never-wrong algorithm there’s nothing you’d rather fancy eating, drinking or watching at this exact moment. And you won’t even remember going to bed when you’re perfectly awoken the next day. So there’s no need to be scared. You're putting your life in the hands of an ecosystem that knows more about you than you do yourself. Unhappiness and illness will be relics of the past on Google Earth 2.0 and the only price you have to pay is independent thought and spontaneity.